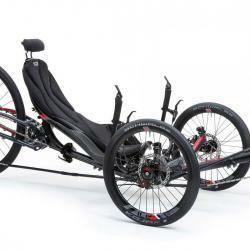 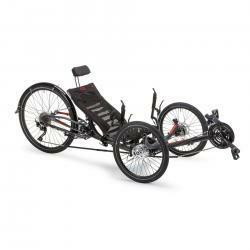 An expedition-tough trike, originally designed for Antarctic record setting, the Full Fat combines durability, reliability and specialist features for conquering the most challenging terrain. 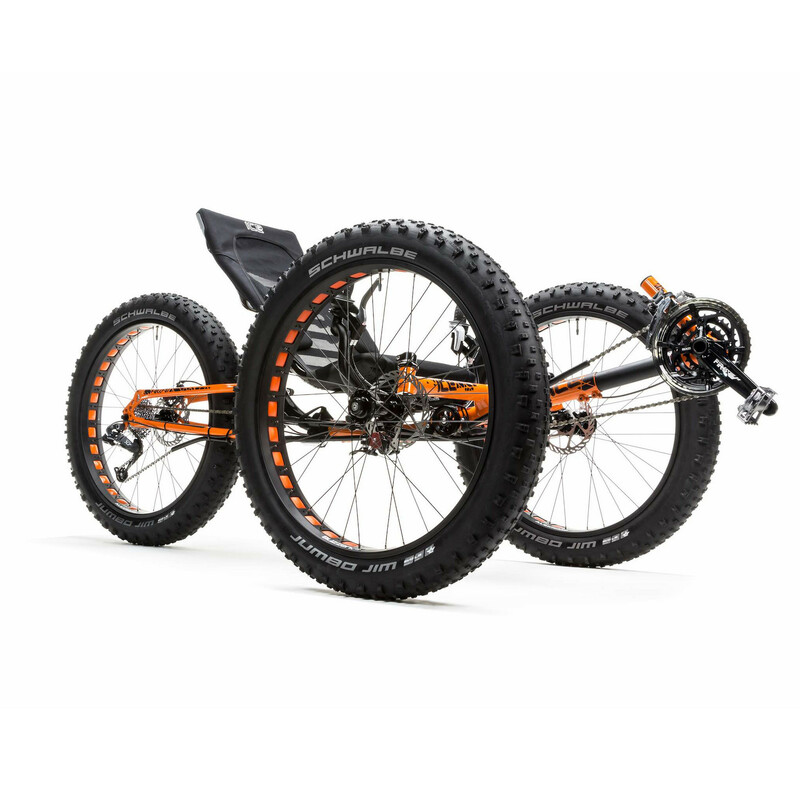 Rough trails, sand, snow, and mud; if you pedal, it’ll take you there.The ICE Full Fat is built on an optimized ICE frame featuring Compact Flat Twist Fold, No Brake Steer, Rider Positioning System and wide range gearing. The ICE Full Fat is built on an optimized ICE frame featuring Compact Flat Twist Fold, No Brake Steer, Rider Positioning System and wide range gearing. 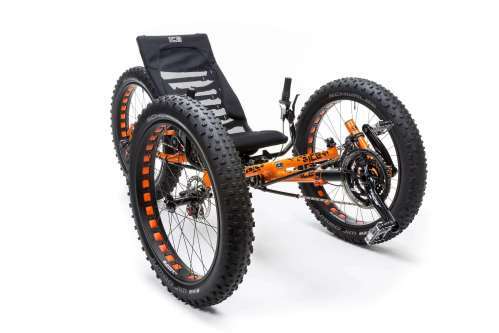 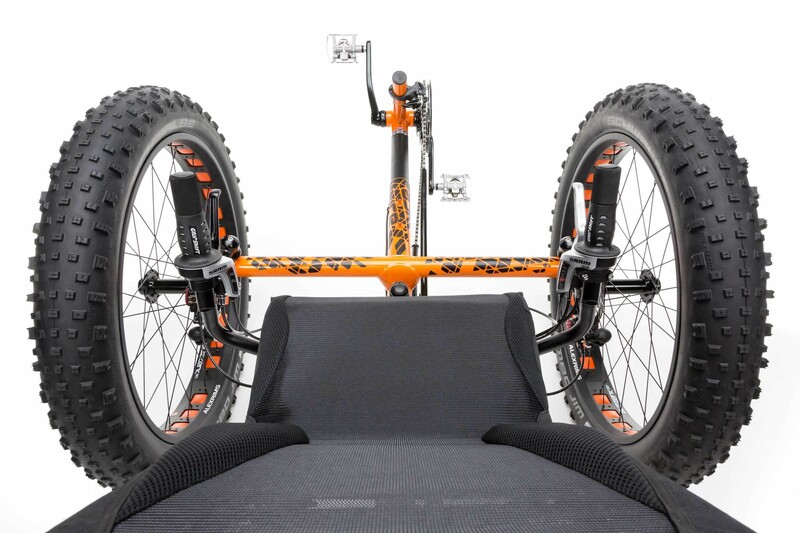 There’s no denying that the Full Fat is a big trike, but nonetheless it still features ICE’s industry leading Compact Flat Twist frame, allowing the trike to fold quickly and easily. A high cruciform and three 26” wheels gives excellent ground clearance over rugged terrain. 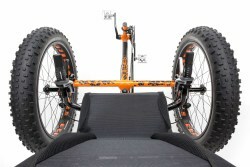 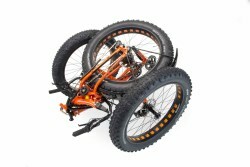 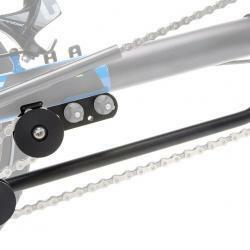 Large volume, low pressure tires provide float and traction over soft terrain and bumpy trails. 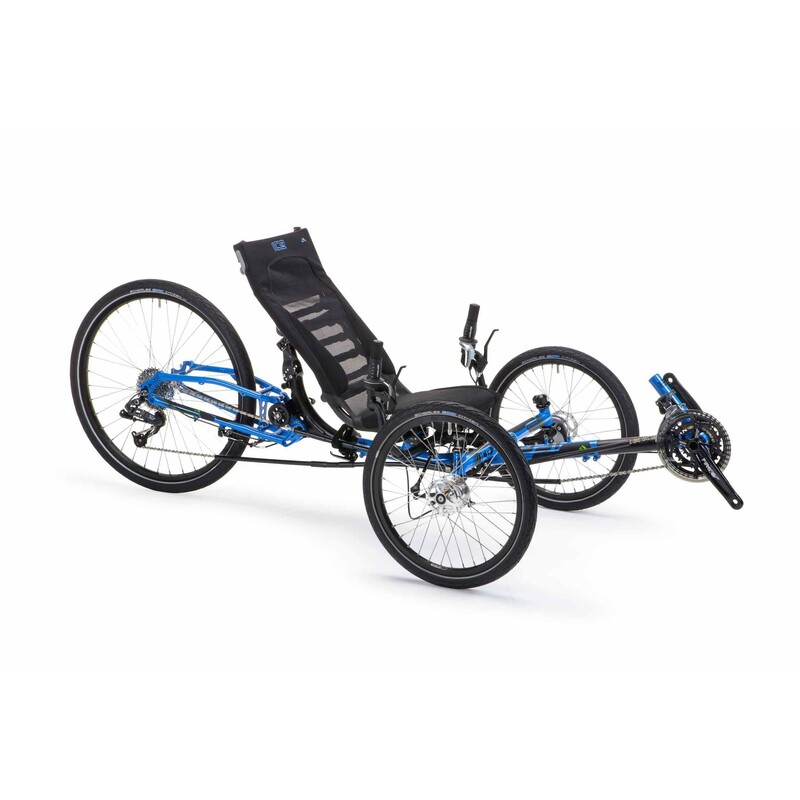 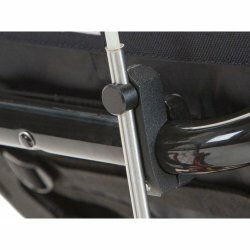 Fitted as standard to the Full Fat, and comprised of a seat frame and cover, the Ergo-Flow seat has been designed to provide optimum back support. The cover features breathable fabrics to maximize airflow, while cushioning in the base and side bolsters enhances comfort.